First stop is Ladurée a pastel coloured, picture postcard of a shop where you’ll discover a bewildering array of macarons, meringues and chocolates. Ladurée is famous for inventing the double-sided macaron – two delicate almond meringue biscuits in an array of colours and filled with creamy ganache. 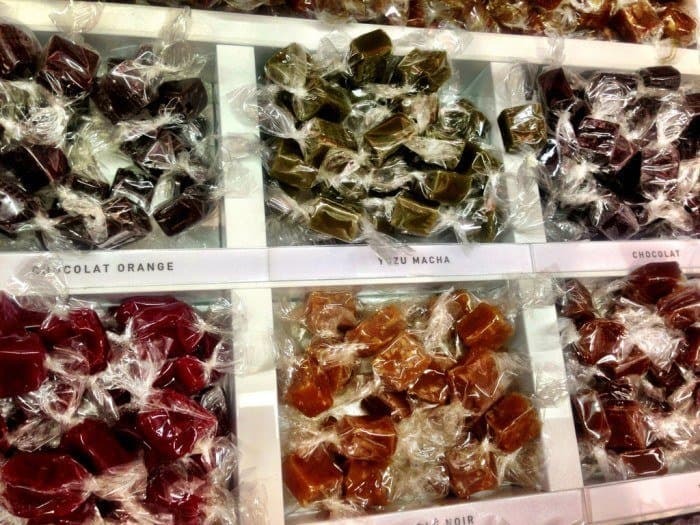 Salted caramel, rose, orange blossom and violet are just some of the myriad of flavours. 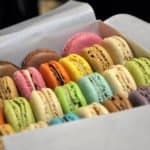 There’s a difference between Macarons and Macaroons – the latter are much heavier, made with coconut and sometimes dipped in chocolate – not the same at all. So now you know. 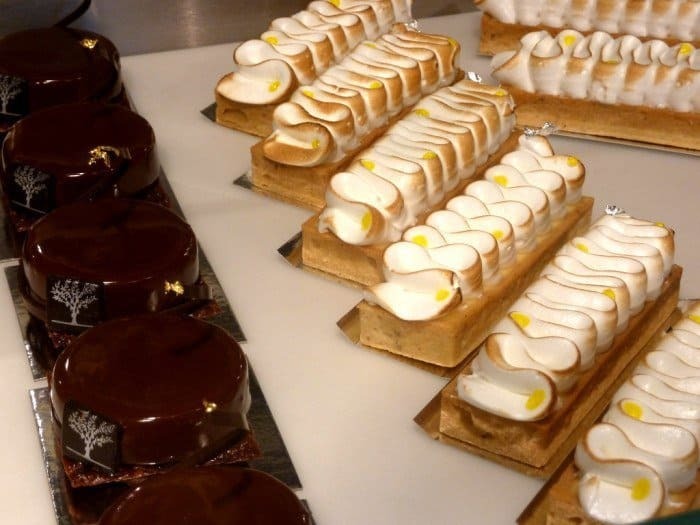 There is a small tea-room attached to the shop where you can also indulge your French fancies. I always thought toffee was toffee – until I tasted a Henri le Roux soft, velvety, melt-in-the-mouth, sent from heaven, caramel. These silky, salted, butter caramels knowns simply as CBS (caramel-beurre-salé) are simply sublime. 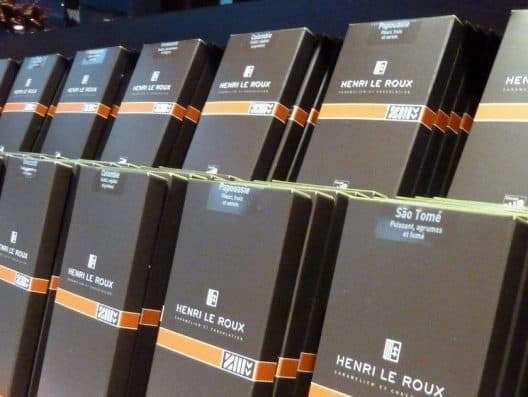 On walking into the Henri le Roux boutique-style shop, his first in Paris, you’ll be dazzled by the bright jewel coloured caramels in exotic autumn flavours of Saffron, Pear, Orange, Jasmine and Ginger. Flavours change with the seasons which is a good excuse to check back and see what delights the Spring collection holds. Pop through to the chocolate side of the shop and you’ll be enveloped in the rich, bitter aroma of cocoa. Be warned you may never want to leave this shop. 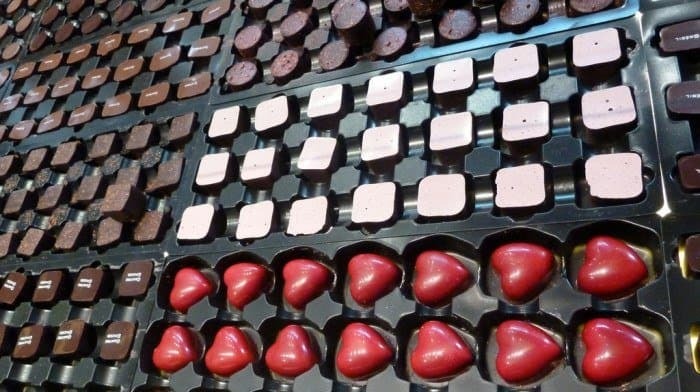 Some Parisian chocolate isn’t actually from Paris. Top Belgian chocolatier Pierre Marcolini creates his chocolate from pure cocoa and travels the world in search of the best beans. Annual summer, winter and Christmas collections mean that Marcolini sounds more like an Italian designer than a Belgian chocolatier. 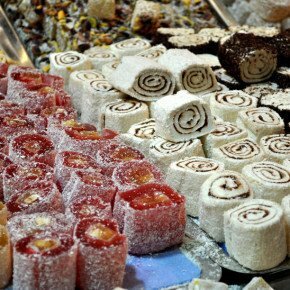 More than 60 varieties displayed in neat rows of tempting deliciousness are a feast for the eyes as well as the palate. 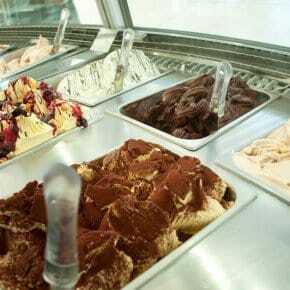 Fillings include violet and Earl Grey tea and more exotic flavours such as Moroccan pink pepper berries or bergamot infusion with fresh lemon and lime zest. My favourite was the four spice – a dark chocolate infused with flavours of cinnamon, clove, nutmeg and ginger – all beautifully blended but each flavour standing out individually too. Chocolate covered marshmallows and macarons are available too and with Valentines Day coming up the white chocolate and raspberry hearts are sure to be best-sellers (hint!). 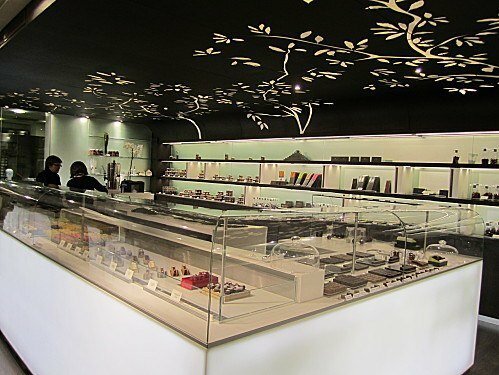 So there you have it, some of the best Parisian Chocolatiers, Patisseries and confectioners all in one sweet little hub. I hope I’ve tickled your taste buds and if you’d like to visit any of the shops mentioned I’ve added them to a handy little map. Just for you. Sweet. 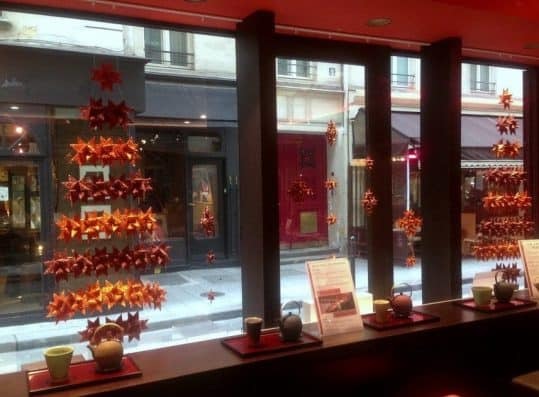 How about Pierre Herme, Rue Bonoparte ? This is arguably even better than Ladurée. 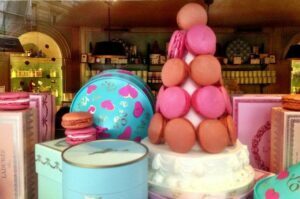 Not just the amazing macarons with flavours such as mogador or ispahan but their millefeuille praliné and ispahan croissants, oh la la ! 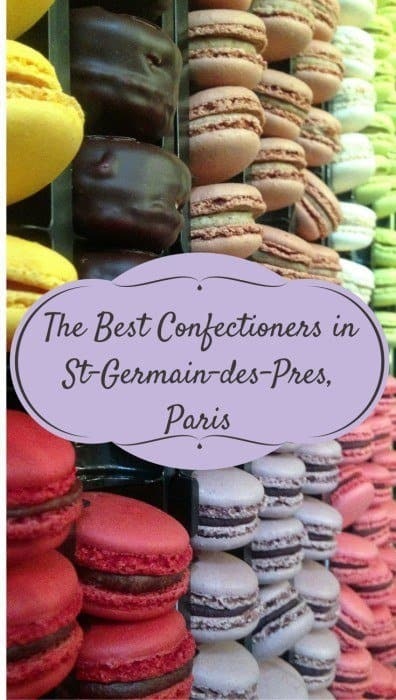 I recently returned from a trip to Paris,and I couldn’t agree more with how beautiful the chocolates and confections are there! St Germain is an adorable little neighborhood! 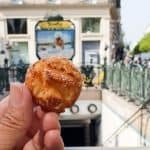 I’m going to be in Paris this spring and since I’m a chocolate lover I’ll have to go there… It looks wonderful – excellent post! I’m not a person who craves sweets (salty’s more my thing) but these look so enticing, I’m ready to dive right in. I love Paris!! 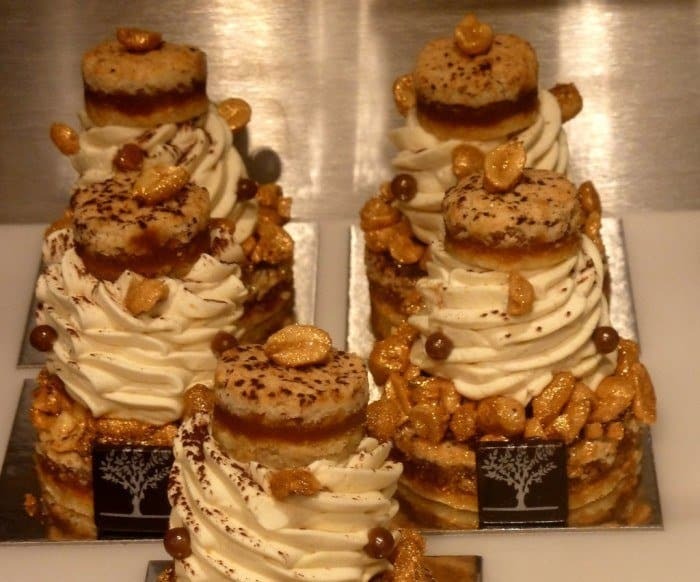 I wish I didn’t have such a sweet tooth – Paris was such a tease! oh, how can we resist!!?? I am sure all those shops have done a good business for Valentine’s day! 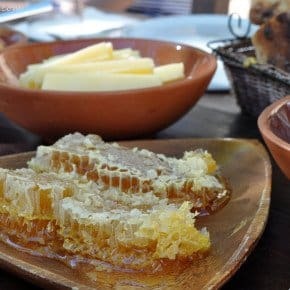 And now I am very hungry – all the shops and the goodies they sell look amazing. St-Germain is my Paris house-sitting neighbourhood and there are a couple I recognise there but a few new ones too – all the more excuse for another trip I think! I am now doubly envious! Do let me know if you ever need company on your house-sitting! 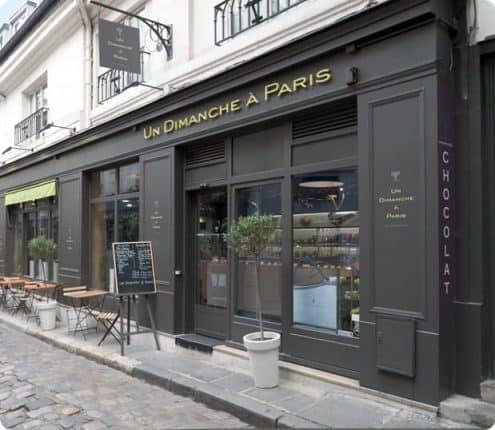 Who doesn’t love chocolate … not a fan of Paris – but I love their patisseries. To be honest I don’t think I ever have eaten French chocolate. My favorite chocolate brand is Fazer and they are Finish. This is a beautiful post – and if I didn’t have such a hate and love relationships with Paris, this would made me wanted to visit Paris. Ask her for … Dark Geisha! They do fantastic chocolate. Lindt’s does wonderful chocolate too. I will look out for their Chilli …. like the sound of that. Oh-my-word! 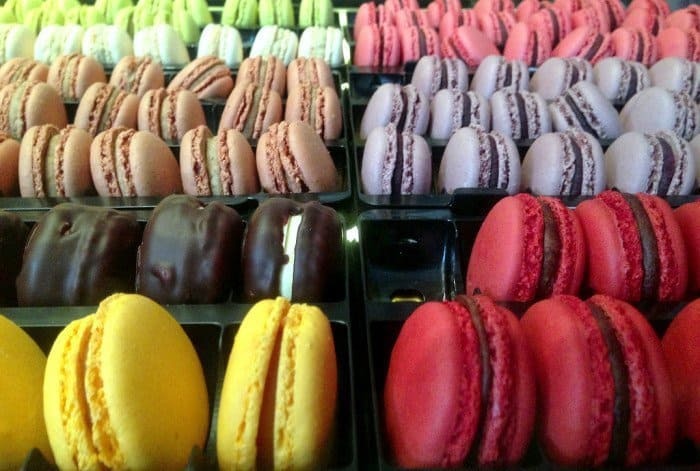 I don’t even have a sweet tooth (well, not much) and I’m queuing up for a macaron, Suze. And is the man of your dreams taking you for something suitably calorific on Valentine’s? Or are you feeding him something with creme fraiche? Unfortunately I have a very sweet tooth! The man of my dreams has yet to notice that it’s Valentines Day!!! I was Nordic walking this morning and one of the ladies recycles the same homemade card every year and does his fave, beans on toast. Great to be easily pleased. 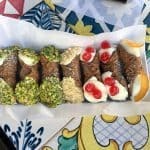 I’d need a few days there so I could go back and try each one – too much all in one day! Oh my! Next month, your map in hand, I’m there!! It’s all heavenly – will have to make do with a mars bar for now!